19:01 Hustings due to start in the next 5 minutes. 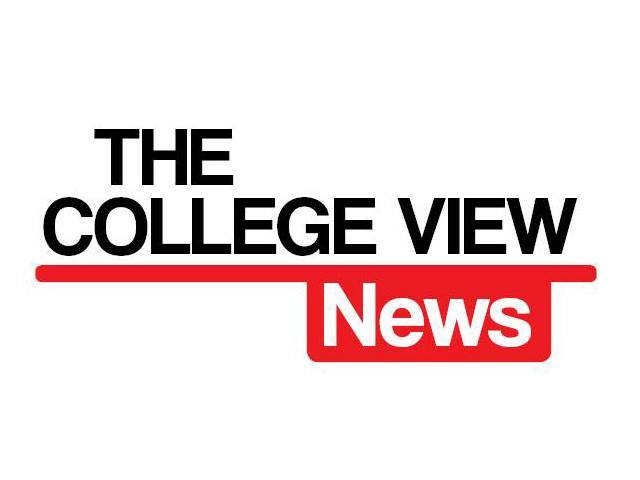 If you want to follow the Hustings Mark will be tweeting live @thecollegeview. Tweet into us. 19:12 The three speakers speakers in the USI debate are DCU student Ronan O Dalaigh; Cat O’Driscoll, USI Education officer; and Joe o Connor, USI President. 19:15 All speakers are for the proposition. 16:16 All speakers get five mins max to speak. 19:17 Triona Barrow made a complaint about the time it has taken to get to the debate. Triona has been invited to speak on behalf of her class. 19:18 Ronan: What is USI? “It is an organisation of students.” Ronan’s speech closely resembles the speech he gave at the launch of the his yes campaign last week. He brings up the money point and extoles the virtues of joining USI. He has already decided the outcome:” when we do join that is going to be seriously significant”. 19:24 Ross McCarraigh is speaking on the no side. He hasn’t prepared for the debate but is doing it from “his point of view”. He mentions UCD dropping out last year. A Point of Information form Cat references the DCUfm interview with Chris Lee saying that UCD dropped out due to financial difficulties. Ross brings up the strides DCU have made in being the leaders in a lot of motions that we have proposed. I don’t think DCU needs to be part of USI. 19:28 Cat says she is going to “tell us a story”. She tells of her own experience of how she was “the only one doing any work in my college”. She talks about the relationships she has built up with other education officers from other colleges who were in similar situations. She talks of the support she got from knowing and talking to other education officers. She mentions the nursing issue: “USI is not the only one who cares about it”. Mentions the grant scheme and how we all benefit from it. Two benefits are the national representation and the supplementary materials. Joe talks about his personal experience of going through college on the grant. 19:43 The debate is opened up to the floor. UCD mentioned again. We won’t have the same payment scheme as them, clarifies Joe. He also mentions that the five main changes proposed by UCD have been implemented within a year, according to Joe. He clarifies the Northern Ireland college debate, clarifying that students in the North should be forced to choose between UK and Ireland. The question is clarified in that the Northern colleges get a say in the vote despite it having no effect on them. 19:47 Joe comes back against the question with the fact that USI represents all students keeping in mind the confederate nature of the Union. 19:51 Cat mentions that being part of USI makes you a member of the European Unions so we would have allies across europe. 19:52 Sean Cassidy asks the No side are either of them on the Grant. Triona says she is. she mentions her family history with college and says that DCU has a free fees stances, the same as USI. 19:55 Ross brings up Cat’s earlier mention of the good ideas in DCU and says that it’s not like our sabbatical officers wouldn’t refuse to share and help. Joe mentions that the issues that DCU is fighting right now are national issues, and “cannot be won by individual colleges”. 19:58 More questions on the money aspect. Joe brings up the finance committee who are part of USI now, and mentions that one of the reasons DCU left was the lack of financial transparency: “I can assure you that is not the case now”. 20:00 A question to the no side asks if we want all the benefits but just don’t want to pay. “Even though we are doing it on our own and there are benefits there that we get by osmosis…. I don’t think its fair to simplify it,” Ross replies. He also brings up the low voting numbers and mentions that maybe the money should be used to increase the voting numbers on campus. 20:04 Question: What happens if there is a campaign that we like but would like to change a little, we have no say without being within USI. Triona: Many see we already have all the advantages without paying the €8. 20:06 In response to the amount USI actually take in: “We take in around €700,000 every year”. That is actually less than the Office of Student Life (OSL) takes in every year in DCU. Scaremongering is brought up by another student. How many students feel that without USI we wont have a union. He clarifies that that isn’t true and that if we wanted we could go out there and get involved in other campaigns and we can do what we want. Cat talks about the pressure from affiliates and not from colleges that don’t affiliate. 20:14 Ross comes back saying he “isn’t the No oracle. These are his honest opinions.” Ross says that this debate is the whole point of democracy. Triona talks about the respect granted towards each sides. She talks about her class’ concern about the public image issue with USI in recent years and the fact that they dont see any real benefit of being part. 20:17 Question on sabbatical officers’s opinions. Aaron says CRC has mandated that the sabbatical remain neutral on the issue. 20:20 There has been a lot of questioning on the motivations of the No side speakers and Cat defends them and says that it is great to get to get the opinions of the students. Another student mentioned that we shipped in USI people here to talk to us about the debate. Ronan mentioned that they recruited the USI reps because we haven’t been in USI for years so he doesn’t know the structures. 20:24 Sean Cassidy asks the No side have they been swayed. Ross says he has come up and made some valid points and that’s what he wanted to do. Sean also asks them what is it they are intrinsically opposed to; the fee or the national representation. Triona says that her stance hasn’t changed but she is a lot more opened minded. Someone mentioned the money could be spent somewhere else, on a 3D cinema or not spent at all. 20:28 Another student extolled the virtues of joining: “Not to join would be crazy”. He also mentioned “united we flourish”. He then didn’t know the name of the organisation. 20:30 Ross tries to respond and then a mild row breaks out. Jack has some difficulty holding order. Triona mentions that the money could be used for local problems like buying a new car park, something the USI wouldn’t care about. Joe brings up the success the USI has had in engaging with national bodies such as SUSI and making some national change. 20:34 Aaron asks that all reps encourage their classes to vote either way. And sends a thanks to the No side for volunteering to come up at such short notice. 20:35 The debate is over.